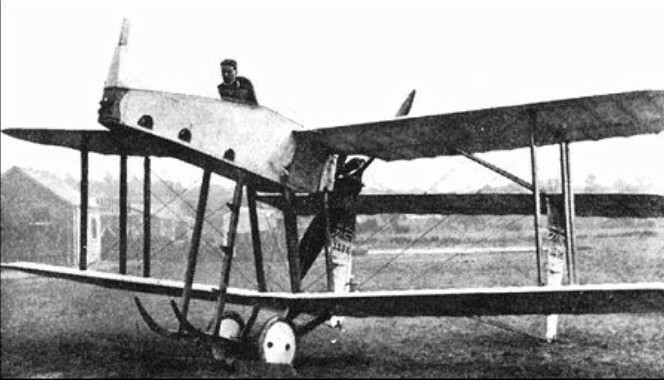 Designed by Harris Booth of the Air Department of the Admiralty as a single-seat anti-airship fighter, the A.D. Scout - later to become known unofficially as the '"Sparrow" – a single-bay staggered biplane intended to carry a Davis two-pounder recoilless gun. The rudders and outsize tailplane were carried by four parallel tailbooms. The gun was intended to be mounted in the bottom of the nacelle, to the tail of which was attached a 100hp nine-cylinder Gnome Monosoupape rotary engine driving a pusher propeller. 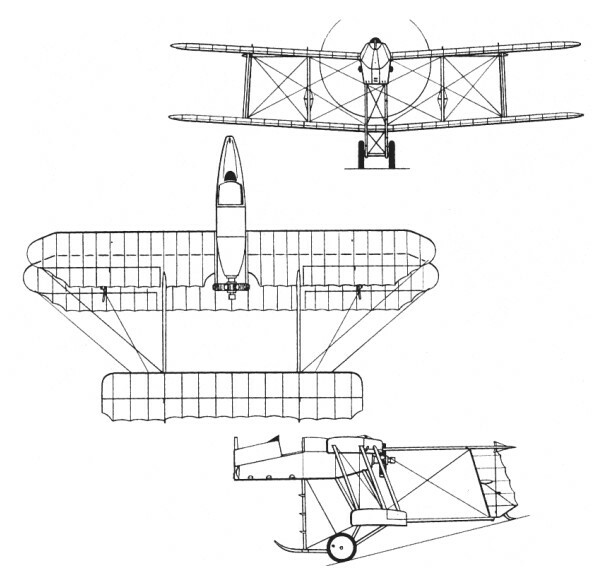 Construction was of wood with fabric covering, and four prototypes were ordered and built (two by Hewlett & Blondeau and two by Blackburn) in 1915. Delivered to the RNAS, the A.D. Scouts proved seriously overweight and difficult to handle in the air. In consequence, all four aircraft were scrapped. The narrow track main undercarriage was assisted by the lower booms set approximately 11 feet / 3.35 m apart.